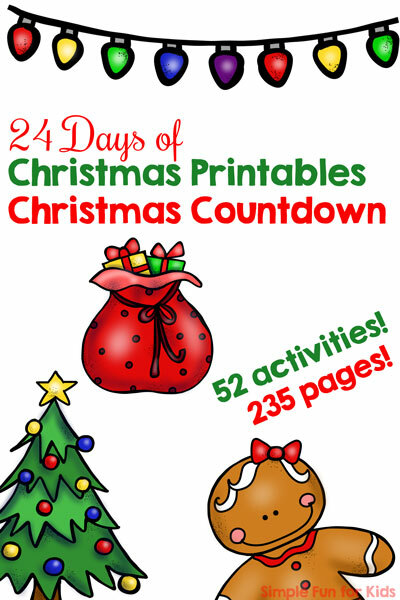 Today is day 6 of the 24 Days of Christmas Printables for Toddlers, and I’ve got some S is for Santa Dot Marker Pages for you! These dot marker pages are a fun little introduction to the letter S for your toddler and make a quick and simple activity when you want to do something on short notice, because they don’t require any special preparation – just print and color. Markers, crayons, colored pencils or dry-erase markers. One to four sheets of paper (see details below). The file includes 4 different dot marker coloring pages. They all have a capital letter S outline with dots in it and either a black and white or colored Santa plus the words “S is for Santa” for tracing. The number of dots differs between the versions. 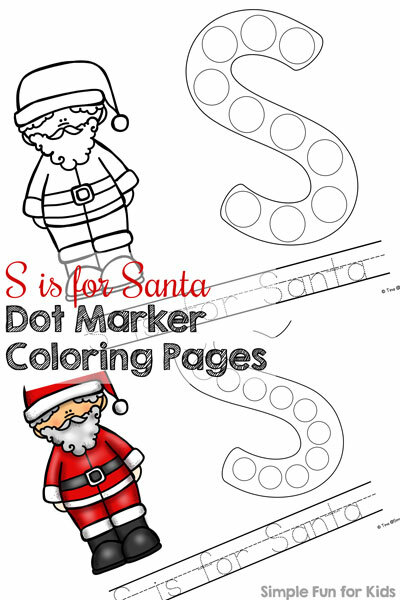 Download your S is for Santa Dot Marker Coloring Pages! 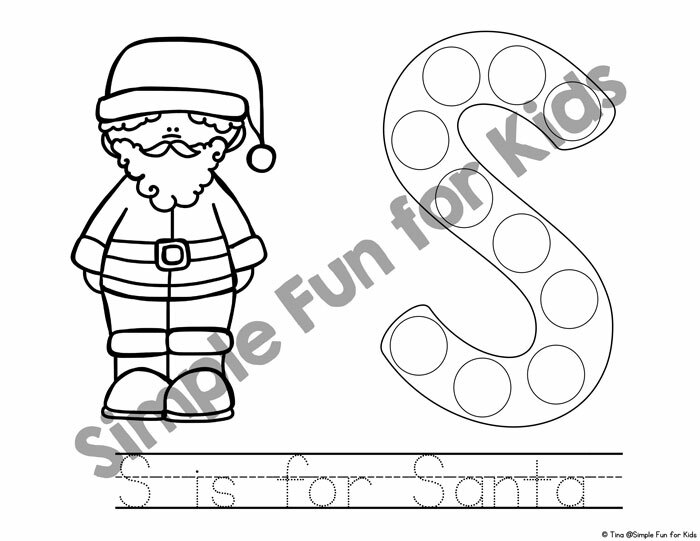 S is for Santa Letter Maze and Letter to Santa both use the same Santa graphic.